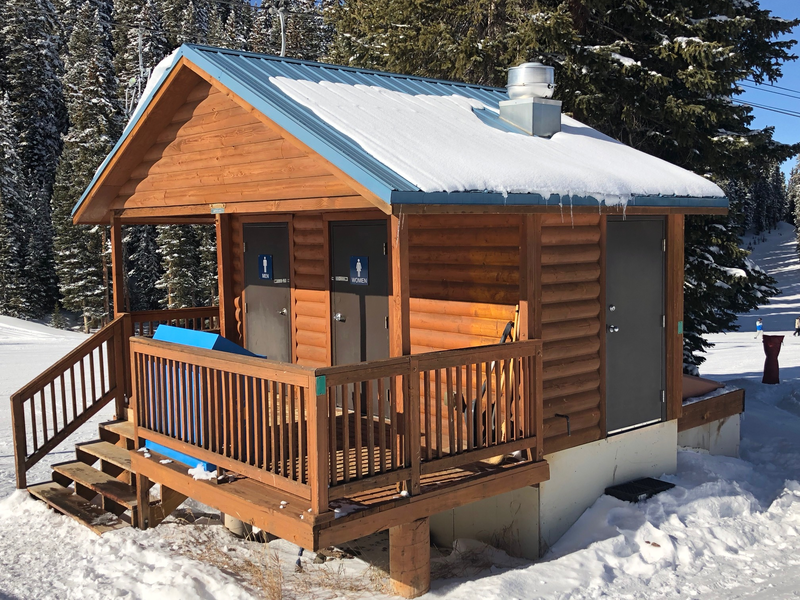 Is this designed for interior or exterior uses? 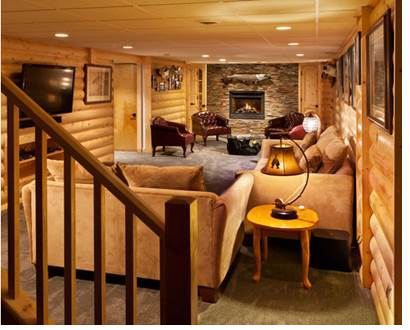 This product can be used for both exterior siding and interior paneling. If used in an exterior application, it's best practice to prime all four sides before installing. Is this a hand-hewn look, or a smooth rounded face? How do I measure how much I need? 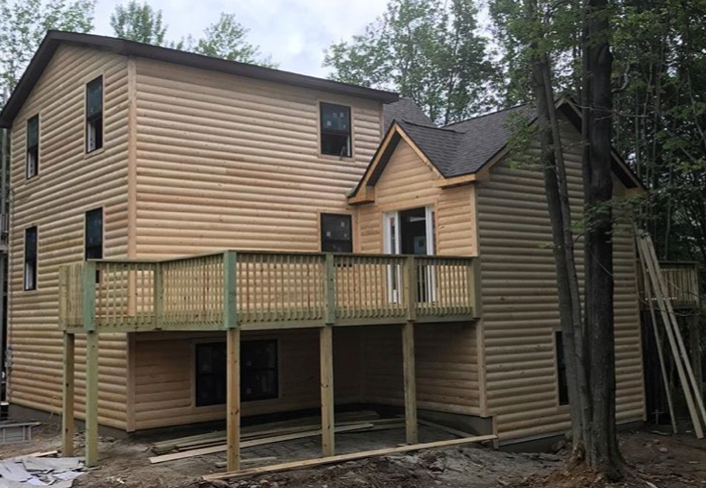 2x8 Log Cabin siding has a 6-5/8" exposure, meaning you'll need roughly 181 lineal feet to cover 100 square feet. Always factor an extra 5% for waste factor. Is this sold random length or can I specify lengths? 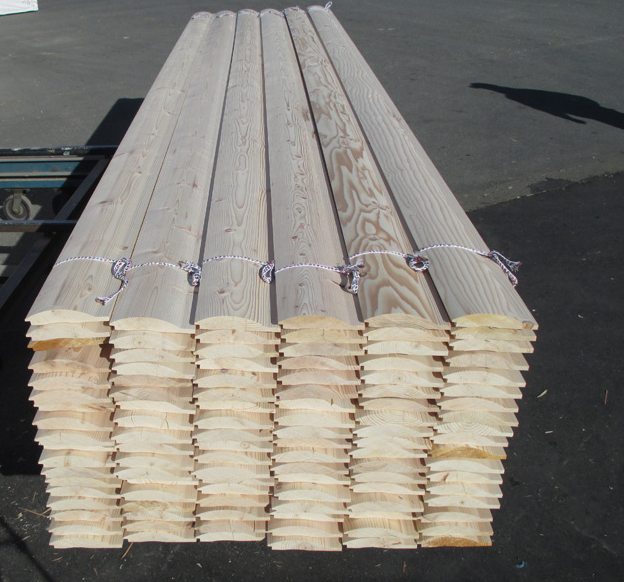 You can specify lengths, and it's sold in 12', 14', and 16' increments. How do I install and fasten? First, make sure the material acclimates for at least a week in its end environment. Acclimation is a critical step for proper installation and prevents future expansion, contraction, or warping issues from arising. 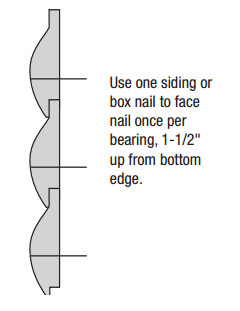 Manufacturer recommends a siding or box nail fastened directly through the face (as shown below) 1-1/2" up from the bottom edge. For trim, make sure to use at least a 2" trim to leave a proper shadow line. 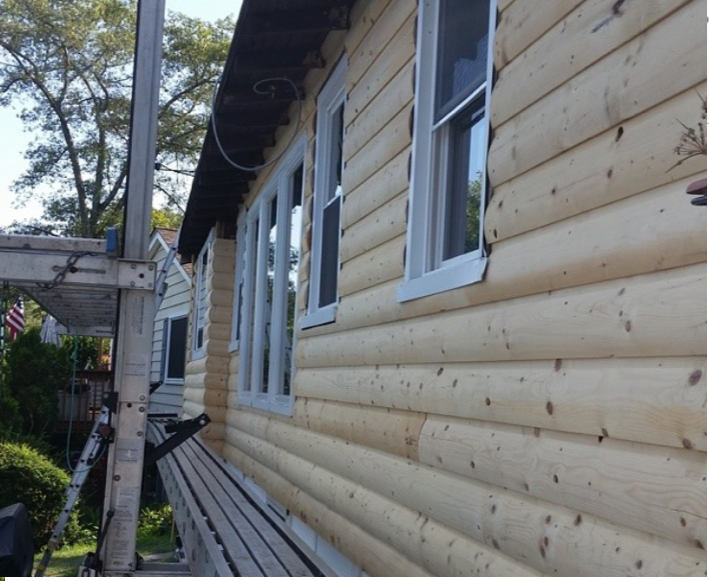 Our log cabin siding is made from a SPF white wood. Expect a bright, white piece of wood with occasional knots that's light and easy to cut and fasten.